There's a very real skill in making an album sound as eclectically irreverent as 'Limelight Cordial' without it descending into a sticky mess of half-baked ideas and breached taste boundaries. 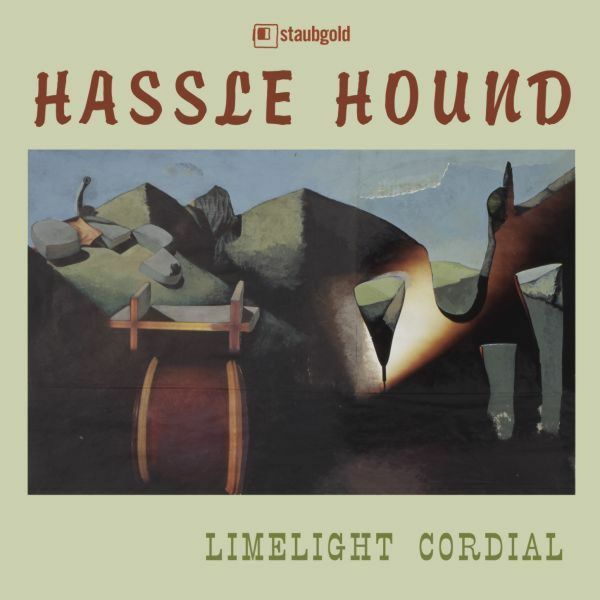 Hassle Hound have got the skills to pay the bills... Following a couple of releases through Twisted Nerve, the three-piece Hassle Hound (Ela Orleans, Tony Swain & Mark Vernon) have managed to pin-down their wandering creativity to produce an LP that contains more ideas per minute than most groups manage in the spells between rehab. Seemingly undeterred by usual considerations of what does and doesn't go together, 'Limelight Cordial' opens through the Goons Show-meets-Four Tet of 'Anvil Stamping Stallion' - a song that somehow fuses the sound of horses hooves, delicate guitar and telephone chatter into an emotionally rich four minutes. From this, the mood is immediately flipped for the string-lashed 'The Night Of The Great Season (a song which flirts a bit too heavily in Lemon Jelly territory), before the fabulously odd 'Farce Of Dusty Knee' massages Brazilian percussion, mournful swipes, surf guitar and 'ye-haw' vocal samples into a gleeful flash of expertly balanced joy. Elsewhere, 'Star Lantern And Two Mice' is a brittle coalition of fizzing electronics and mealy instrumentation, 'White Roads' points to where Air might be had they discovered Vasti Bunyan, whilst 'Primrose' takes The Avalanches only good idea and makes it better. To the power of twenty. Sniff it out!